Healthy Non-Toxic Baby Cot, Cradle and Bassinet Mattresses with Organic Cotton Covers. 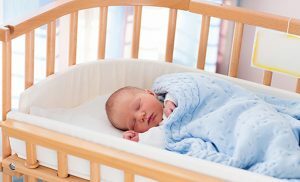 Healthy non-toxic baby cot mattresses are becoming increasingly popular with new parents, especially if the mattresses have removable organic cotton covers. Ultimate Cots® (a division of Ultimate Beds®) have been making Baby cot, cradle and bassinet mattresses for many years. These mattresses are designed to maximise health and safety for your precious baby. Ultimate Cots® mattresses have been developed with your comfort in mind as well. A good night’s sleep for your baby, generally means a good night’s sleep for you. 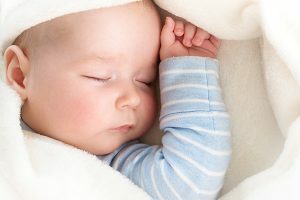 So why are Ultimate Cots mattresses among the best Baby mattresses in Australia, if not the World? Check out the 7 reasons below. The foams used in Ultimate Cots® cot, cradle and bassinet mattresses are all premium Australian made open celled foams, which are approved by the Asthma Council of Australia and by Good Environmental Choice Australia (GECA). No toxic solvent glues or imported foams are ever used in our mattresses. Although Ultimate Cots® foams are open celled foams (which means that you can hold them up to your face and breathe through them), we further enhance the breathability by using a patented process to punch hundreds of 5mm holes through the foam from top to bottom at 40mm centres. This improves the breathability by about 700%. Once the mattress core has been made to size, we custom make two (an inner and then an outer) removable covers which are made from two separate 100% certified organic cotton proprietary fabrics knitted for us here in Australia. These fabrics, which are knitted into an outstanding Jersey knit – not woven, also maintain the breathability of the mattress. The above processes make our cot, cradle and bassinet mattresses among the healthiest and most comfortable baby mattresses in Australia, if not the World. There is no metal used in Ultimate Cots® mattresses, which ensures they are completely free from EMF (electromagnetic field) amplification. They also contain no plastics, latex or synthetic fibres and no chemical fabric treatments are used. Ultimate Cots® cot, cradle and bassinet mattresses comply with all relevant safety standards including AS/NZS 8811.1.2013. You can therefore have confidence in, and be assured of, your baby’s safety. Ultimate Cots® mattresses are constructed with a supportive firm base layer and (for the cot mattresses) are topped with a soft comfort layer. They are also ventilated in a patented process for a healthier sleep environment. We then cover the mattress core with a luxurious soft fabric which is made from 100% certified organic cotton. Please note that, although products labelled ‘organic’ may contain varying percentages (in some cases as low as 10%) of organic cotton, ours is 100% organic cotton. 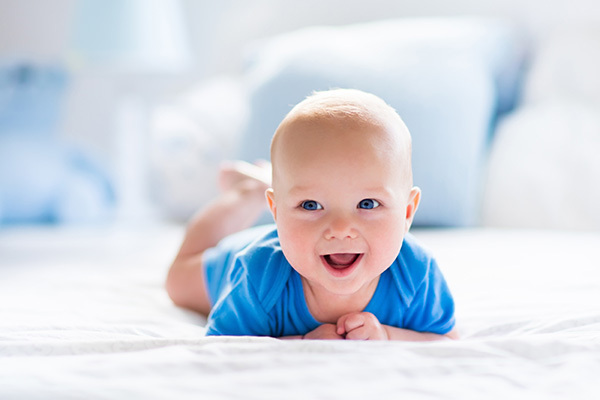 For the above reasons Ultimate Cots® baby mattresses represent the ultimate in quality, making them among the most comfortable and healthiest non-toxic mattresses currently available. All components of Ultimate Cots® baby mattresses are made from the very best materials. Our foams are premium (which means among the highest possible grade) Australian made foams. They are open celled foams and are ventilated in a patented and complex process. Ultimate Cots® baby mattresses are manufactured to a quality point, not to a price point. This is because we at Ultimate Cots® believe that nothing is too good for your precious baby. 5) Custom Designed for Your Unique Needs. All Ultimate Cots® cot, cradle and bassinet mattresses are custom made, as you supply to us the length and width. Cot mattresses are 120mm thick. Cradle and bassinet mattresses are 50mm thick. In addition, Ultimate Cots® can cater for rounded or oval shapes. All you have to do is return to us in a prepaid envelope (supplied by us) a template cut from paper (also supplied by us). We can even have your mattress ready in as little as 48 hours, although occasionally, due to demand, this may take a little longer. All Ultimate Cots® components are Australian, from the foam cores and the fabrics for the covers to the labour in making the foams, the fabric and the covers. 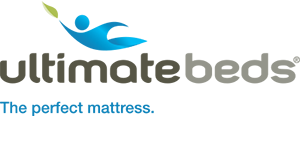 Ultimate Cots® proudly support Australian industry and Australian job creation, making our cot, cradle and bassinet mattresses 100% Australian! Ultimate Cots® cot, cradle and bassinet mattresses are manufactured in Australia and sold direct to the customer at factory-direct pricing. So there are no large retail mark-ups included, which means better value for customers. Don’t compromise on quality or health for your baby’s cot mattress. Extra charges may apply if mattress is outside the above sizes, and/or is not rectangular but curved. Mattresses can be picked up from our Claremont showroom (Perth, WA). Alternatively, our mattresses can be delivered anywhere in Australia for a flat fee. Prices set out above exclude delivery. Click here to view adult mattress prices and kids mattress prices. All Ultimate Cots® products are manufactured with minimal environmental impact, helping to make a safer future for your baby.